If you have any questions about the RUMBO SOTOGRANDE information page below please contact us. 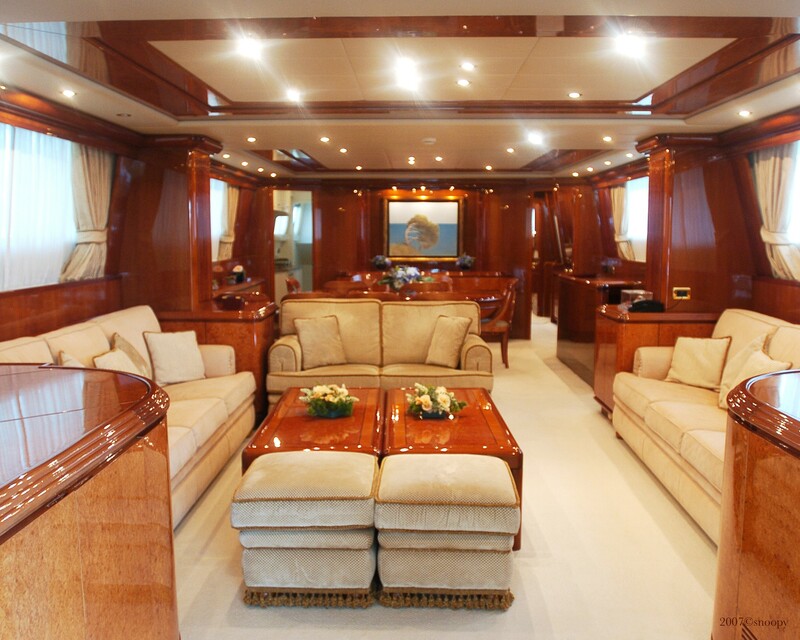 The well proportioned superyacht RUMBO SOTOGRANDE is a motor yacht. This 31 m (101 ft) luxury yacht was built at Falcon Yachts in 2000. RUMBO SOTOGRANDE is ex (Falcon 100). Superyacht RUMBO SOTOGRANDE is a elegant yacht that can sleep up to 10 people on board and has approximately 5 qualified crew. 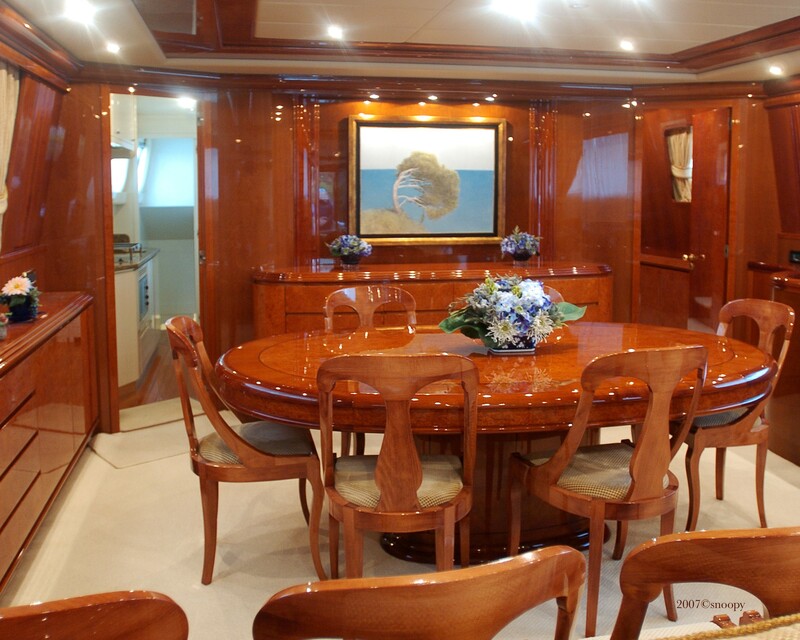 This graceful motor yacht was brought about with naval architects Stefano Righini. The yacht's general design work came from Stefano Righini. The formal naval architect firm intellectual property are the creation of Stefano Righini. Built at Falcon Yachts this vessel was completed within Italy. She was successfully launched in Viareggio in 2000 before being transferred to the owner. The hull was built out of composite. 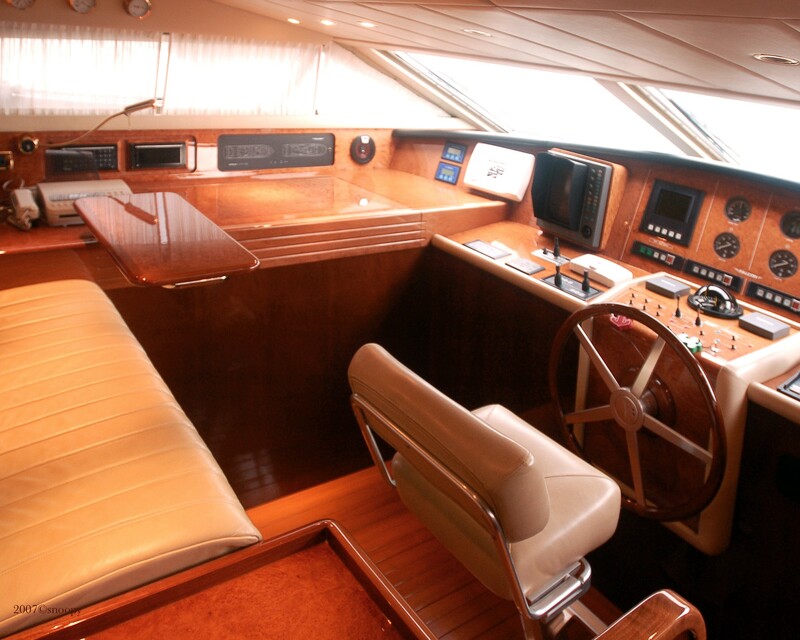 The motor yacht superstructure component is fabricated largely using composite. 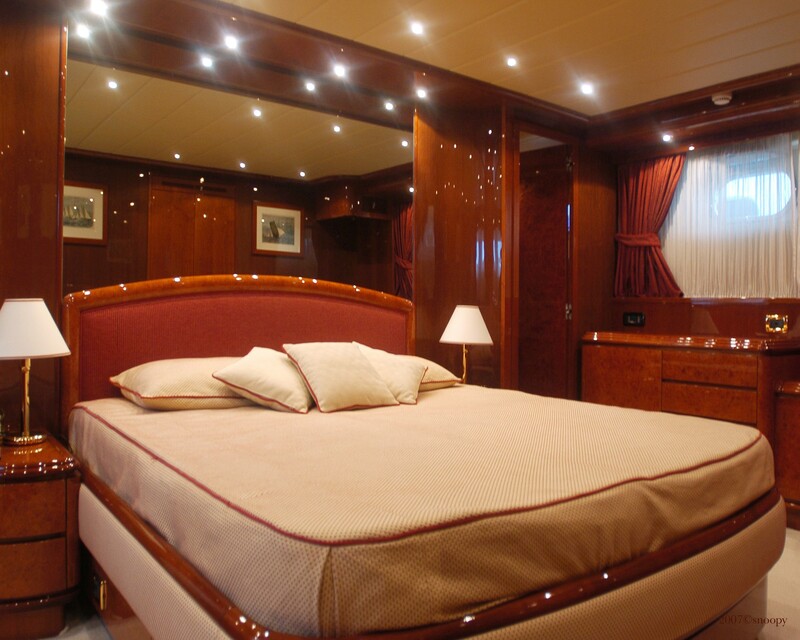 With a width of 6.46 metres / 21.2 ft RUMBO SOTOGRANDE has moderate room. A shallow draught of 1.92m (6.3ft) selects the number of overall ports she can berth in, taking into account their minimum depth. The yacht contains twin efficient MTU main engine(s) and can accelerate to a bracing maximum limit continuous speed at 26 knots. The main engine of the RUMBO SOTOGRANDE creates 1800 horse power (or 1325 kilowatts). Her total HP is 3600 HP and her total Kilowatts are 2650. For propulsion RUMBO SOTOGRANDE has twin screw propellers. Her quick cruising speed is 22 knots which enables a range of 300. With space for a maximum of 10 yacht guests spending the night, the RUMBO SOTOGRANDE accommodates everyone in luxury. This ship utilises approximately 5 proficient yacht crew to run. 30.7 metres / 100.7 feet. Her Engine(s) is two 1800 HP or 1325 Kilowatts MTU. The Model type is 16V 2000 M90 diesel. 300 at a speed of 22 knots. Kohler 2 times 27 kilowatts. 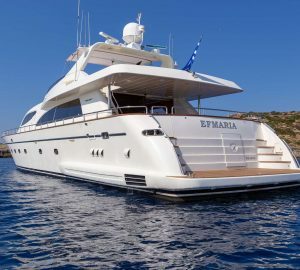 The luxury yacht RUMBO SOTOGRANDE displayed on this page is merely informational and she is not necessarily available for yacht charter or for sale, nor is she represented or marketed in anyway by CharterWorld. This web page and the superyacht information contained herein is not contractual. All yacht specifications and informations are displayed in good faith but CharterWorld does not warrant or assume any legal liability or responsibility for the current accuracy, completeness, validity, or usefulness of any superyacht information and/or images displayed. All boat information is subject to change without prior notice and may not be current.